The FDA has just cleared a new type of medical implant made from 3D printed titanium. 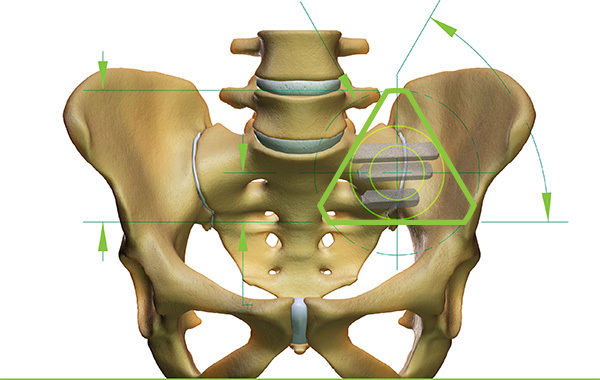 Developed by SI-BONE, a California-based medical device company, the iFuse 3D implant system can now be used to help treat sacroiliac (SI) joint dysfunction. According to the company, the device is the first of its kind as a 3D printed titanium implant designed for use in the SI joint. The iFuse implant is made with a porous structure. This unique form is meant to improve bone growth, regrowth, and through growth in between the sacrum and the ilium bones in the pelvis, where the SI joint is located. Some individuals with lower back pain also suffer from SI joint dysfunction, as this part of the skeletal system directly supports the spine. Per SI-BONE, between 15 and 30 percent of lower back pain sufferers experience that pain as a direct result of SI joint dysfunction. With the non-3d printed iFuse implant being used in over 26,000 procedures over the last six years and gaining the support of over 50 peer-reviewed publications, the iFuse 3D version has now been cleared for use by the FDA. The new implant is created using an Arcam EBAM machine, which allows for enhanced surface characteristics that foster bone regrowth. The increased surface area created through the iFuse 3D plays an integral role in this function and greatly expands on the features of the non-3D printed iFuse Implant. The ability to 3D print using medically advantageous materials like titanium has opened doors for the creation of more advanced medical devices and implants. Portions of the human skull, rib cage, jaw, and spinal cord are just a few of 3D printed prosthetics and implants that can now be made from titanium. With the potential to create more devices like this, and greater acceptance and approval by regulatory agencies, what 3D printed medical aids will be available next? Comment and share your thoughts on this development.